The European Union (EU) has condemned Japan’s new ‘scientific’ whaling programme (known as NEWREP-NP) in the North Pacific in a formal letter to the International Whaling Commission’s (IWC) Contracting Governments. In the letter circulated today, the 25 EU member states that are party to the IWC expressed regret that Japan has decided to begin whaling in the North Pacific, contrary to recently agreed IWC rules that any new scientific whaling programmes should be fully reviewed by the IWC and its Scientific Committee. They also stated their “extreme concern” that an already-threatened population of minke whales would be reduced by 20 per cent in 2030 if the whaling went ahead. The EU Member States urged Japan to withdraw all whaling permits in the North Pacific and work collaboratively within IWC agreed processes. 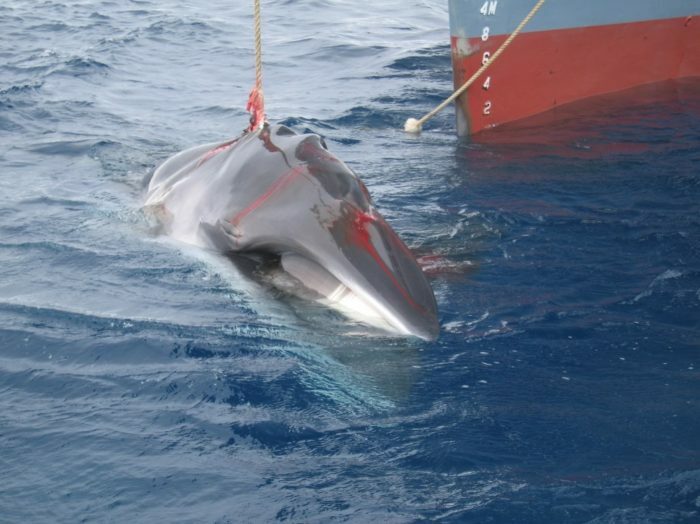 Clare Perry, Head of EIA’s Oceans Campaign, said: “We applaud the EU for taking this important position and urge other IWC contracting governments to add their voices to the call for Japan to stop its sham ‘scientific’ whaling in the North Pacific. • Access the EU Member States’ statement here.